As a PBA fan would probably know by now, the 15-foot jumper Mark Caguioa drilled in a off a Scottie Thompson assist for Barangay Ginebra in a win against the NLEX Road Warriors marked the 9,999th and 10,000th point of his PBA career. That allowed him to join the group of Fortunato “Atoy” Co, Ramon Fenandez, Boga Adornado, Francis Arnaiz, Phillip Cezar, Alberto Guidaben, Robert Jaworski, Allan Caidic, Alvin Patrimonio, Isabelo “Jojo” Lastimosa, Nelson Asaytono, Venancio “Benjie” Paras, Jerry Codinera, James Yap and Norman Black as the newest member of the 10,000 point club of the PBA. Membership in this club is so rare that these 16 are the only ones who reached this milestone during the almost 44 years of PBA existence. Achievement of this milestone is one of a kind. One has to roll out a long, consistent PBA career to have a shot at this. Parts of the PBA careers of three players: Ricardo Brown, Asi Taulava, and teammate LA Tenorio, show just how difficult it is to be in this club. Brown has the best scoring average per game in league history at 23.1 points a game, yet he does not belong to this group due to a short stint. Taulava, 45 years old, who played in the league since 1999 save for the 2013 season when he signed for San Miguel in the ABL, is not yet part of this group. Teneorio, probably retiring as the top ironman of the league, who has yet to miss a single game since 2006 when he was drafted, does not belong to this group. That makes Caguioa’s achievement a testament to how he plays the consistent pointman, manufacturing points for his team during a long, productive stay in the PBA. Caguioa also joins a “Tim Cone” scorer group together with Lastimosa and Yap. These three shared the experience of having to give up a piece of their main calling card in exchange for heavier share in team leadership and success. Before the implementation of the triangle offense, both Lastimosa and Yap, both in their prime, are bonafide consistent 20-plus points. After the triangle was implemented, they could barely pass the 20 point mark consistently in exchange for a bagful of trophies. When Alaska traded for Lastimosa in 1991, Cone looked to make him the franchise player for a potential long time as he established him the main gunner of his “Jolas and the 11 Indians” system. Lastimosa averaged 21.39 points per game in his first three years and was instrumental in giving them their first championship since joining the league in 1986 by bagging the Third Conference of the same season. Everything, however, went downward spiral for the Milkmen in terms of team achievements in the next three years which made Cone decide to implement the triangle offense that would change the team dynamic of every succeeding Time Cone team. As a result, Lastimosa’s offensive statistics took a dive in this system but Alaska became a perennial championship contender and started bringing home championship after championship, including a grandslam. In the next six years, Lastimosa would just average 14.81 points but Alaska accumulated eight PBA championships, including a grand slam, making Jolas the player with most championships in the ‘90’s, counting his first and only championship with Purefoods during the first three years of his career. This does not include the five second place and two third place finishes, all in just six years. Lastimosa won just two titles from 1988 to 1993, a span of 18 conferences, before the triangle offense. From 1994 to 2000, he had a total of nine championships in 21 conferences. It was all the same in Yap’s case. Including his rookie year where he shot 12 points a game, he averaged 17.7 points with a high of 21.3 during the 2007-08 season. When Cone arrived, it dropped drastically to just 13.5. 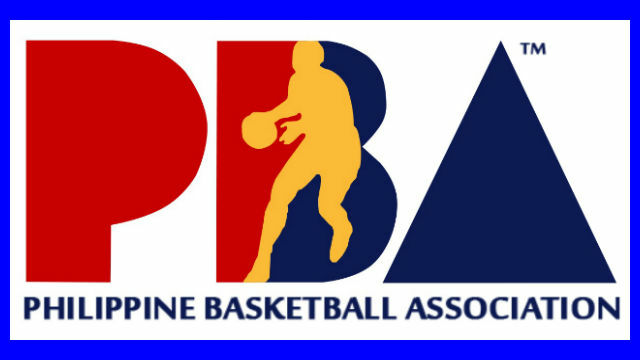 In contrast, Yap led Purefoods to just two championships in six years or equivalent to 14 conferences from 2004 to the end of the 2010-2011 season. When playing under Cone from the start of the 2011-2012 season to the 2014-15 season, he had five titles during those four years or equivalent to 12 conferences. The Spark’s case is no different either. Caguioa was the main offensive focal of Ginebra during his early years. He average in the high teens, hitting a career best 24.6 ppg during the 2006-07 season. In his immediate two years before Cone took over the reins for Ginebra, he was still averaging good 10 points a game. Under Cone, it plummeted to just 5 points per game. But then again, the Kings halted an 8-year title drought in just their first year with Cone. Two more will follow in the next five conferences, which could have been really more had Greg Slaughter not injured his leg and had they not face the behemoth June Mar Fajardo. The Spark won just four championships during his first 13-plus years. The three he got with Cone was done only three seasons. The grandslam is the only common ingredient missing. With Ginebra’s line-up as presently constructed a force to reckon with, it’s not out of the realm of probability that Caguioa will have a grandslam in his career resume by the time he calls it quits.